It’s been a while since my last update but some exciting stuff has happened this past month. I’ve been busy lining up the ducks, some that can't be shared yet…and some that can! Last month I got together with the HUNTAR team for a show at O2 Empire Shepherd’s Bush. 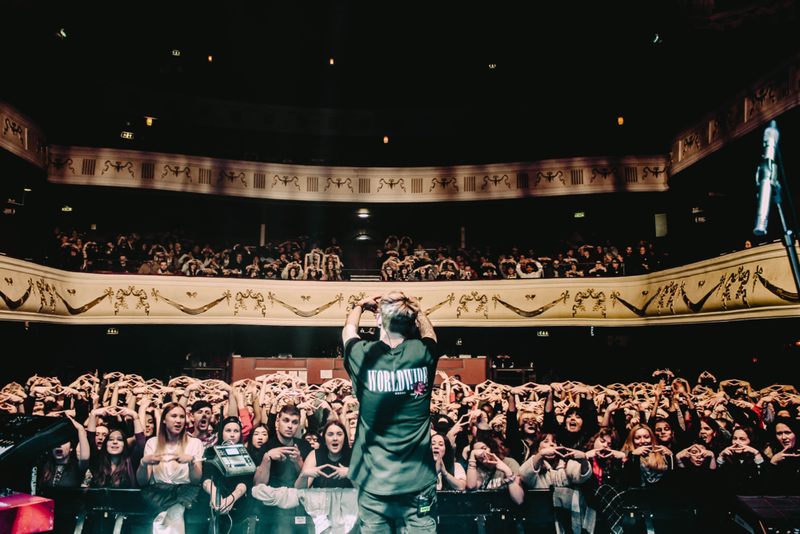 We were supporting Zak Abel on his London tour date. It was a dream being able to play that venue and to get back together with the boys, after some time not playing together. My favourite thing about the HUNTAR shows is that no matter the venue, the show, or who the crowds are there to see, we always give 110% energy! The HUNTAR gig is a weird one for me, as a drummer, because I only use a Roland SPD-SX and play stood up/jumping/bringing the hype.. so there’s no kit to hide behind! But being there at the front bouncing off the energy of the crowd and the other band members is what makes it unique and exciting for me! This show at O2 Empire was no doubt the biggest show we have done as a 3 piece outfit and will definitely be one to remember. Can't wait to play more HUNTAR shows this year. Check out the footage and pictures below! Anyway, I found myself with a little bit more free time recently, which has meant I’ve been able to start a new originals project that I’d been wanting to do for ages! I’ve been writing, producing and arranging this project with two friends on the local music scene, and will be aiming to start playing shows later this year. 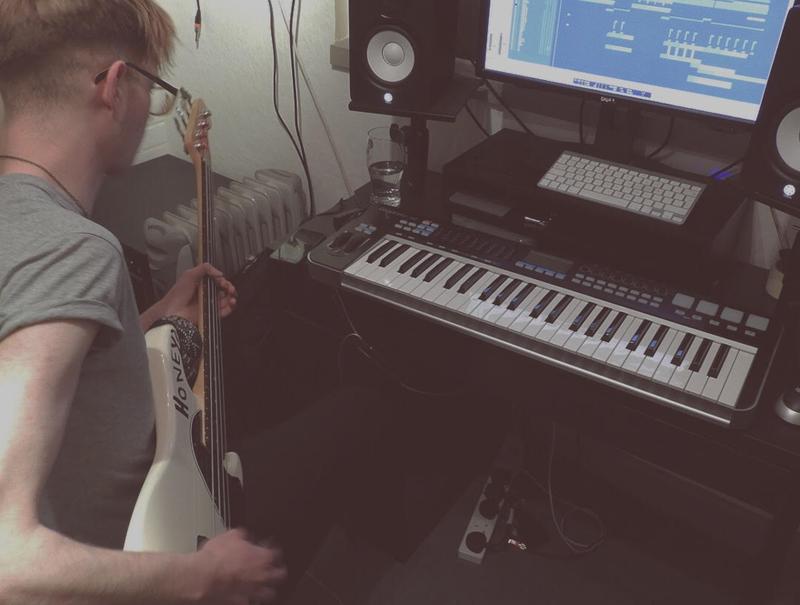 Think 80s synth pop, riffs and infectious melodies! We’re all very excited to share this music, and hopefully it will be a project I can bring closer to home. More info soon on that one. A couple of weeks ago I was asked to host the percussion room at Korg’s Learn2Play day in Milton Keynes, which was a real privilege for me to be asked! I spent the day teaching back-to-back 15 min slots to people of all ages, right the way from 6 - 60 years old and everyone left the room being able to play a drum beat and a drum fill, which isn’t half bad in that amount of time! I had loads of great feedback from the parents and students and it was especially rewarding to have that fed back to me from the Korg team…So I really hope to do the event again next year! Following on from the teaching side of things, one of my students, Alex, aged 15, just passed his Trinity Grade 4 exam with a Merit! I’ve been teaching Alex since September last year and he has come a really long way in the past few months and has done himself proud achieving this result, so well done Alex! We will be taking some time now to focus on more performance based playing before sinking our teeth into grade 5. I am also currently working on a new show with Liberty Drum Corps, a local youth marching band, who last year won Championship Class winners in the British Youth Band Association (BYBA) Finals. This year I will be preparing them again for more seasonal performances, with the first one in 1 week's time - I’m really excited to see the results this year, particularly with so many new faces in the group. Check out some visuals below from last season! Another bit of exciting news.... I went on a day out with Martin Potts (Artist Relations Paiste UK), over to Millennium Studios where Dua Lipa’s production rehearsals were taking place. 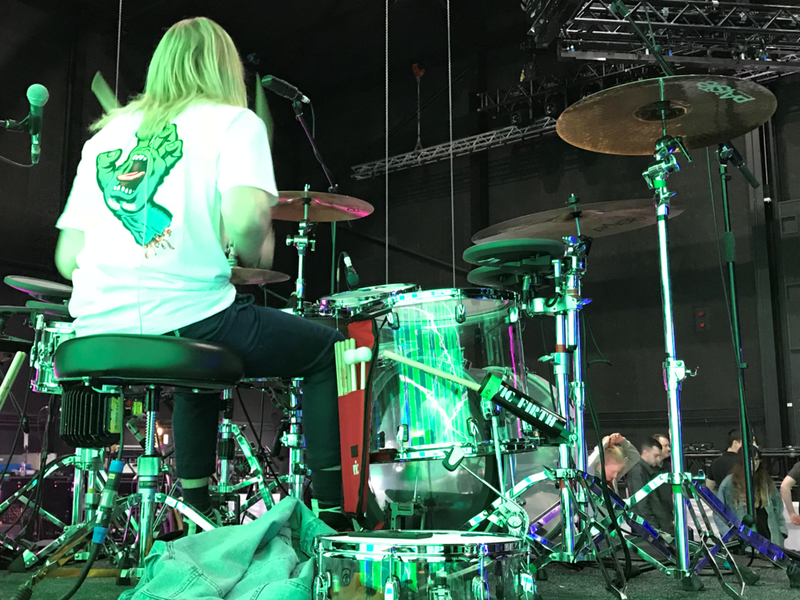 Will Bowerman, Dua’s drummer and MD, was prepping for the UK leg of the tour and Paiste had supplied him with a new set of cymbals. We were invited along to basically ensure that Will had everything sorted, as well as capturing some promo content for Paiste UK. We recorded a kit walkthrough with Will, shot a load of pictures and videos and then stuck around to hear the band rehearse. It was a real privilege to be asked to join Martin for the day and meet Dua Lipa’s team! Will was also kind enough to invite us along to the Birmingham show, which was absolutely killer! Some of you may know that I work for Korg UK, and recently we invited Reuben James (Keyboards Sam Smith) in to record some promotional videos for the Vox Continental and the KORG Grandstage, which he squeezed in en-route to a show in London. I was involved with the audio production and filming on the day and it was a real pleasure to meet Reuben and have him play for us! I suppose I can crack a smile from time to time! Since March this year I have had the pleasure of teaching Biagio who, at the age of 8, is my youngest student. In those 10 months Biagio has dedicated himself to hours of practice week in, week out and as if passing Grade 1 with MERIT wasn't enough this year, he has recently been awarded a MERIT in Grade 2 Rockschool Drums! What a fantastic example of what hard work, dedication and a love for drumming can help you achieve!! I'm now looking forward to teaching him Grade 3 in the new year. Well done Biagio you've done yourself proud! LIBERTY DRUM CORPS TAKES FIRST PLACE! Last month I was humbled by the request to demonstrate one of the new Paiste cymbal ranges, the 900 series. This was to showcase the whole line of regular to heavy cymbals within that series and involved creating four short videos for the team at Paiste. In preparation for this video shoot I was sent a short brief of what was effectively "play a simple beat and use all of the cymbals". We had a few hours to shoot all four videos and they were looking for similarity in playing throughout, to give a fair representation of the cymbals sound and offer comparison for potential buyers. The shoot was completed in the space of an afternoon at Korg UK and I delivered what was agreed in the brief - simple and cymbally! Not only were the guys great to work with and very friendly, they understood that this was a first experience for me doing a corporate demonstration, and I felt like there was no pressure in the room, which made the job much easier! "I’d arranged a Paiste product shoot at Korg UK for a newly released line of cymbals and asked Cameron to be the drummer for the video parts, demoing each cymbal in the new line. Being the first project like this Cameron had undertaken, he stepped up to the challenge and nailed it. He’d clearly put in the prep work beforehand and handled the project as well as any of the endorsed artists I’ve filmed with. Coming in prepared and with the right attitude makes a huge difference to any project and I wouldn’t hesitate to use Cameron again for future marketing activity." "Doing your homework beforehand and just getting at it on the day with minimal fuss says a lot about your approach and commitment and meant there was at least one less thing to worry about once the record button was pushed." Hey, if they're happy so am I! Check out the video below of one of the finished videos and let me know what you think! You can find the other three on the Korg Percussion Youtube channel. My youngest student, Biagio - aged just 8, took his Rockschool Grade 1 last month and has passed with MERIT! This is a fantastic achievement and I'm very proud of the result he got! He began his lessons with me just 10 weeks before taking the exam and I helped him polish up the pieces, as well as introducing him to the technical exercises, sight reading and aural section of the exam. His overall mark was 77% and we have already began preparing him for Rockschool Grade 2!